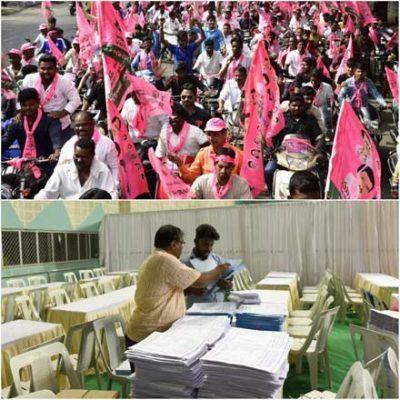 Hyderabad: As the campaign for the December 7 polling to the Telangana Assembly came to close on Wednesday, the stage has been set for the peaceful conduct of elections. The Election Commission of India (ECI) has made elaborate arrangements in 32,815 polling booths to ensure that every one of the 2.8 crore odd voters can exercise their franchise in an orderly and peaceful manner. With the dissolution of State Assembly on September 6, the ECI had taken up making arrangements for the conduct of the elections as a challenge and made elaborate arrangements for the conduct of elections along with four other States. Elections are being held for all 119 Assembly constituencies with 1,821 candidates from various political parties and independents testing their chances at the hustings. 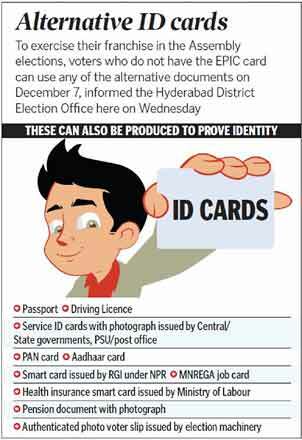 For the first time, ECI will be using Voters Verifiable Paper Audit Trail (VVPAT) in Telangana. The VVPATs provide an opportunity to voters to quickly crosscheck if their ballot has been cast as intended by them. The office of the Chief Electoral Officer of Telangana has also made several arrangements at polling booths to assist physically challenged voters. As part of these arrangements, wheelchairs, ramps and free transportation have been put in place for them. There are 4.57 lakh voters registered as physically challenged in the State. 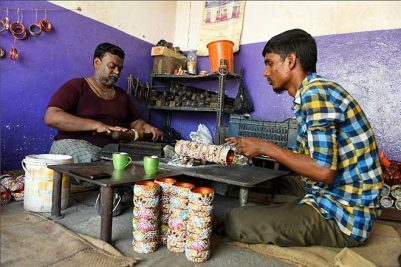 Meanwhile, in continuing crackdown on use of money and liquor by political parties and candidates to lure voters, the State police and Income Tax authorities till Wednesday have seized Rs 110 crore cash and another Rs 20 crore worth liquor and other items since the model code of conduct came into force in the State on September 6, the day the Assembly was dissolved. In the run-up to the 2014 elections, the authorities had seized Rs 79 crore in Telangana region. 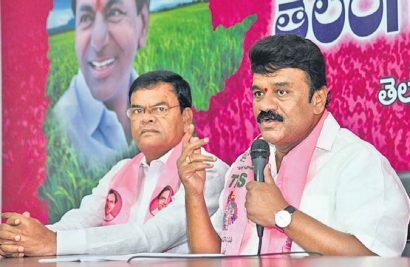 The Malkajgiri constituency in Ranga Reddy district has the highest number of candidates, 42 in all in the fray while Banswada constituency in Nizamabad district has the lowest number of six candidates contesting for the seat. 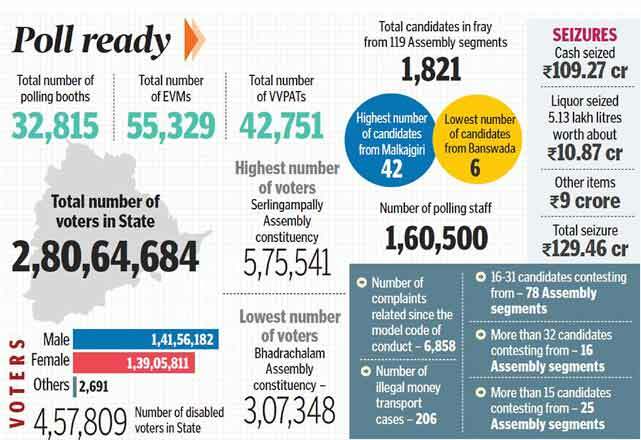 As many as 32 constituencies have more than 32 candidates trying their luck while between 16 and 431 candidates are in the fray in 78 constituencies. The Election Commission has pressed into service 1.60 lakh employees and around 30,000 volunteers for the polling on December 7. All government and private educational institutions where the bulk of the polling stations are located will remain shut on Thursday and Friday. While Friday is the day of polling, Thursday will be used to make all the arrangements needed for voting the next day. The ECI also declared a general holiday to all State and Central government offices including IT establishments on Friday.